Balancing Acts by Nicholas Hytner is the longest advert I have ever read. Timed to come out at precisely the moment when the booking period for his new venture, The Bridge Theatre, was announced, it has guaranteed a raft of reviews, articles, coverage and think-pieces, all focussing on how enormously successful he was at running the National Theatre. The book makes no bones about this. 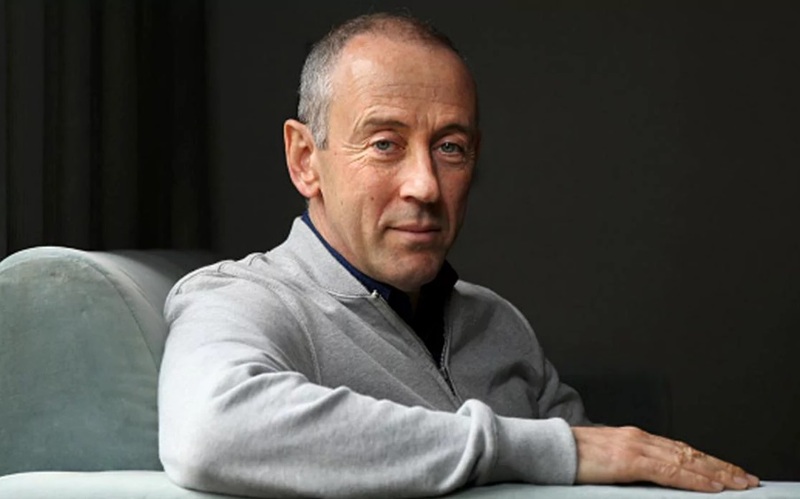 The final three pages are entitled “Prologue” and, quoting Antonio from The Tempest (“What’s past is prologue”), Hytner talks candidly about his hopes for, and the ideological underpinnings of, this new venture. Contrary to his claim in the opening sentence of the book’s first chapter (“At university, I realised I couldn’t write...”), Hytner is a brilliant writer. At the start of the introduction, he carefully seeds his ideas: a vision of the (first) Elizabethan era’s “University Wits” turned theatrical entrepreneurs on London’s South Bank. At the close, he invokes these figures again with his new enterprise. In between, he offers a fascinating semi-autobiography and Hytner’s-eye-view of inside the National Theatre between 2003 and 2015. Like its near sister on the South Bank, the Tate Modern, Hytner’s book cleverly eschews chronology in favour of chapters arranged by theme or content. In spare, lucid, wry prose – which occasionally betrays his boredom with things he isn’t terribly interested in any more – he offers something which feels like a comprehensive, honest picture of his years at the National, but isn’t. The rhythm of Hytner’s arguments is seductive. As the book’s title suggests, the combative bits are balanced out by some genuinely lovely passages in which Hytner remembers how happy he was making The History Boys, or with some amusingly self-deprecating admissions about filming The Madness of King George, or simply some charming anecdotes about actors and the funny things they say. And how Alan Bennett is lovely. However, the fighty bits do keep coming back. At the centre of the book, after all, is his argument – perhaps ultimately with himself – that theatre must be 900-seats-a-night of populist. The Bridge is a 900 seater, and Hytner twice misquotes other theatres’ capacities as 900 (the Lyttleton, actually 891, and the Albery (now the Noel Coward), 872), presumably to implant the idea that 900 seats is some sort of democratic and platonic ideal size for a theatre. Similarly, it is no coincidence to discover, after his lengthy exhortations of the virtues of Richard Bean’s One Man, Two Guvnors and Great Britain, that The Bridge opens with a long run of a new Richard Bean comedy, Young Marx. It is perhaps even a statement of intent that this buccaneering capitalist enterprise, funded solely by rich investors, begins its life by taking a pop at the father of communism. Followed shortly thereafter by some Shakespeare – his productions of which, he devotes much time to explaining, largely in terms of their unpretentious popularity. As Alice Saville and Andrzej Łukowski have already noted, in not-quite-so-many-words, The Bridge’s programming could very easily be characterised as the theatrical equivalent of Brexit; populism made by millionaires while claiming to disdain the “elite”. The Bridge, after all, doesn’t need to answer to anyone except its audience about its diversity, or its gender equality or anything else. It may eventually gamble that it needn’t worry at all as long as 900 people a night don’t worry either. On one hand, this could be seen as a stony corrective to the current fashion for uninterrogated political correctness. On the other hand, it looks worryingly like a manifesto for, and portrait of, The Arts Without Subsidy. Hytner cheerfully admits that his “art” is Entertainment, and carefully positions himself so that to argue against him on his own terms is to argue for “elitism”. He acknowledges that writers, directors, actors, ideas, don’t just spring ready-made into the world, but somehow manages to gloss over the disjuncture between the “elitist” (by implication) small venues where work often starts life (cf. “National Theatre Smash Hit” Jerry Springer, The Opera) and his subsequent ability to sell tickets for it and claim artistic clairvoyance into the bargain. Something fascinating: Balancing Acts doesn’t mention a single review of any of the shows in the book. There’s a reference to an unfavourable New York Times review emptying a first night party, but that’s it. It mentions the papers – well, the Daily Mail and the Guardian – in relation to their binary default-settings (specifically in relation to England People Very Nice) and holds up the Guardian’s “liberal” pieties as a contrast to his own more ambiguous stance. The critical relationship at stake is here is strictly between theatre and theatregoer. (“People are sick of experts”?) Success is measured largely in terms of ticket sales (although Hytner perhaps occasionally regrets that more people didn’t come to something he thought was good). Of course, it would be monstrously vain for a critic to object, but the absence does seem strange – not least as it robs him of the chance to retell the “dead white males” saga. Overall it’s a curious book. Hytner comes across as humane, civilised, witty and charming, in much the same way as Milton’s Satan does. Or one of David Hare’s villains, to whom Hare has deliberately given all the best arguments. It’s enormously readable, even if you find yourself disagreeing with well over 50%. Essentially, it’s a vital book if only because it forces you to think hard about your own beliefs in contrast to its incredibly persuasive arguments. But more than this, it’s an important book because it is about real things and real developments that are going to happen to actual theatre. It’s a horrible irony, but if Rufus Norris had really wanted to put on something which explored the divided soul of Britain today, he could have done a lot worse than stage the memoirs of his predecessor. (Indeed, in the event, he did do a lot worse.) For here, in Balancing Acts, is Britain in all its self-contradictory glory/not-glory. Here is the intelligent argument for populism, and hidden slightly behind it, the disdain for capital-A Art that cannot (for whatever reason) or will not be monetised, or made to function on a vast scale. It’s a vital book, and beyond that frightening book, because it sounds so reasonable, and because it might just turn out to be the future. Bonus track: ‘I Am Sir Nicholas Hytner’ by Sverm! Bjørn: What are you wondering about? AH: Well, firstly, is it a song about the former Artistic Director of the National Theatre of Great Britain? If so, why? And what are the lyrics? What was the inspiration? Bjørn: We used ‘I am Sir Nicholas Hytner’ because its about how I can see the world as my theatre. It’s about how I can never be sure whether everything in the world is just a scene for my world to exist. That I might be the only one that has an awareness and a consciousness... Everything and everyone else might be AIs running on autopilot to create a world for me to live in. Kind of like Truman Show, but on a much bigger scale. AH: Amazing. Why Nicholas Hytner in particular? Have you seen any of his work, or was it just the title that appealed? Bjørn: No I haven’t done that much research. Just an appealing title. What have you ever had done to stand tall? Which, I’m sure we can all agree, is both nothing like him whatsoever, and somehow uncanny. * I faithfully promise this is an accurate transcript (well, cleaned up cut-and-paste) of a conversation had with the group’s Facebook account via Instant Messaging.